Depression & Other Magic Tricks is the debut book by Sabrina Benaim, one of the most-viewed performance poets of all time, whose poem "Explaining My Depression to My Mother" has become a cultural phenomenon with over 50,000,000 views. 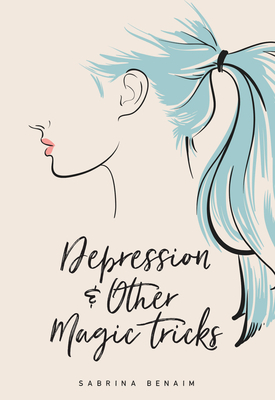 Depression & Other Magic Tricks explores themes of mental health, love, and family. It is a documentation of struggle and triumph, a celebration of daily life and of living. Andrea Gibson, author of Pansy, writes "I read this book on a day I couldn't get out of bed and it made me feel like I had a friend in the world...Simply put, this book disappears loneliness.